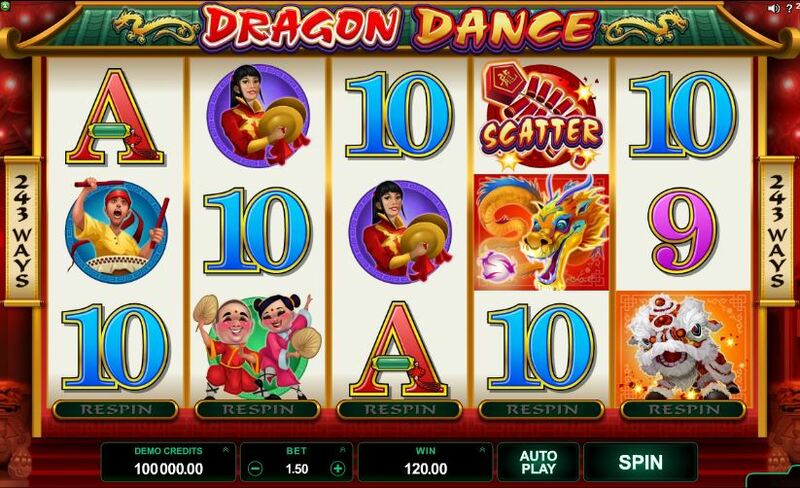 Dragon Dance slot from Microgaming has the respin feature like Bikini Party whereby after each spin you can hold any 4 reels and respin the other for a cost proportional to the likely outcome, i.e. if you have 2 scatters on the screen or 3 Wilds on 1, 4 and 5 with no join-up. you pay a hugely inflated spin cost to spin the outstanding reel. 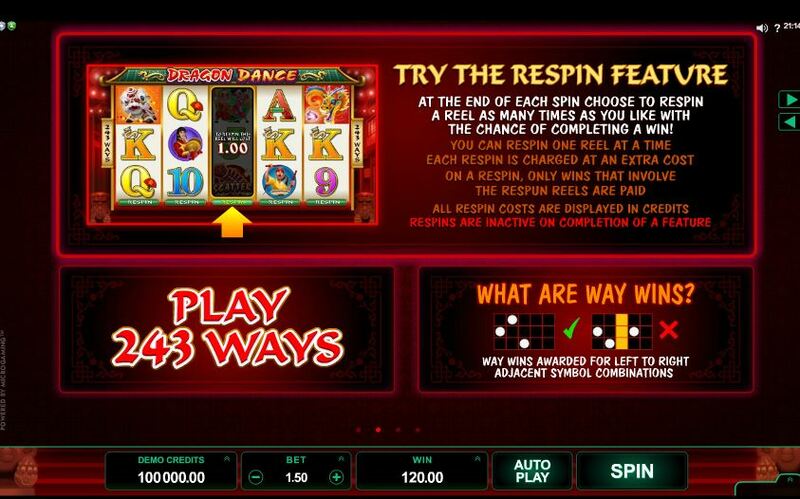 WE RECOMMEND DO NOT USE THIS UNLESS YOU HAVE DEEP POCKETS! 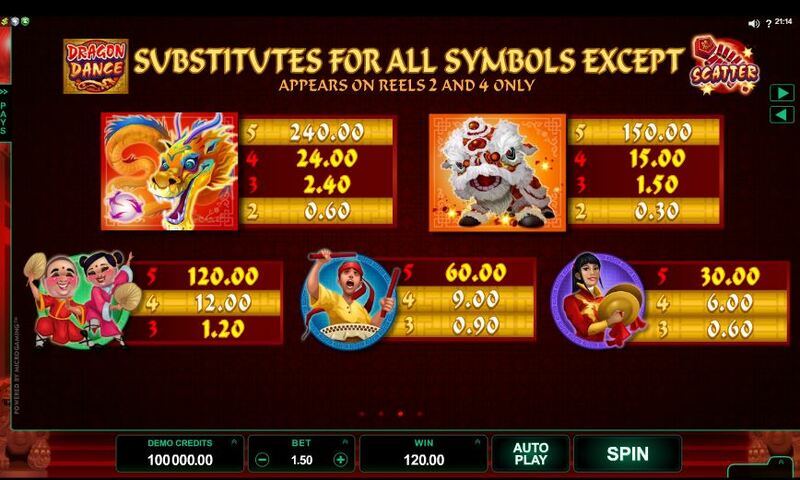 The theme is of course Eastern and there are dragons and Wilds appear on reels 2 and 4. 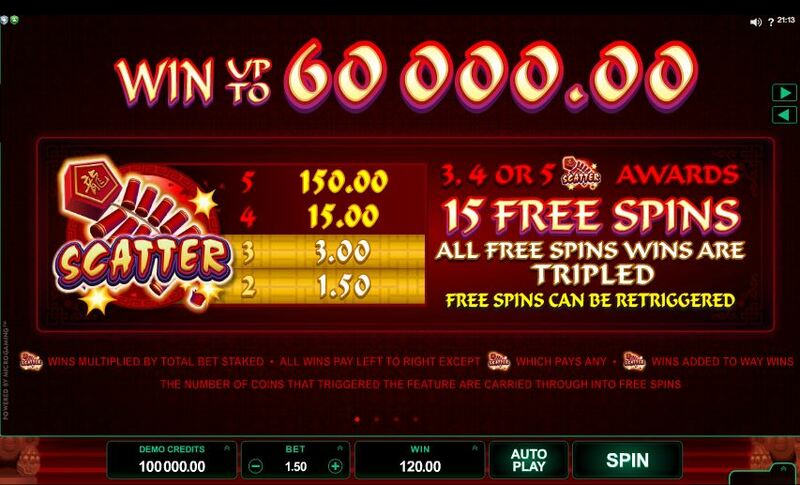 Fifteen free spins with all wins tripled are available if you land 3 scatters anywhere in view and may retrigger. RTP is 95.98%.